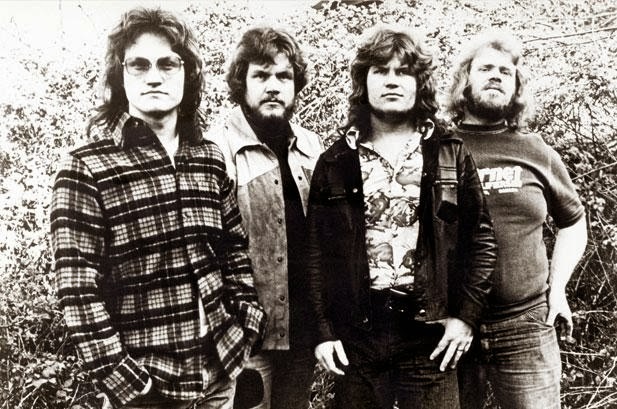 Bachman-Turner Overdrive will be inducted into the Canadian Music Hall Of Fame this spring. The lineup of Blair Thornton, Fred Turner, Randy Bachman and Robin Bachman will be honored with the induction on March 30 as part of the 43rd Annual Juno Awards at the MTS Centre in Winnipeg, Manitoba. Making their self-titled debut album in 1973, the band garnered international attention for their sophomore 1973 effort, “Bachman-Turner Overdrive II”, which produced multiple hit singles, including “Let It Ride” and “Takin’ Care of Business.” The latter song has been used in over 12 movies, 24 TV shows and several dozen commercials. The band followed it up with the anthem-laden “Not Fragile”(1974), featuring instant classics such as “Roll On Down The Highway” and “You Ain’t Seen Nothing Yet,” which sold several million singles, and went to #1 in 21 countries. “Not Fragile” climbed to #1 on both the U.S. and Canadian album charts and sold eight million copies. The album and single “You Ain’t Seen Nothing Yet” were simultaneously #1 in Billboard, Cashbox and Record World. BTO won seven Juno Awards in the 1970s, including Most Promising Group of the Year (1974), and Group of the Year in both 1975 and 1976. They received JUNO Awards for Contemporary Album of the Year in 1974 (for their self-titled debut) and Best Selling Album in both 1975 and 1976 for, respectively, “Not Fragile” and “Four Wheel Drive.” “You Ain’t Seen Nothin’ Yet” was awarded Single of the Year in 1976. The Canadian Music Hall of Fame was established in 1978 and recognizes Canadian artists that have attained commercial success while having a positive impact on the Canadian music scene at home and around the world. Bachman-Turner Overdrive will join the ranks of Canadian music icons, some of which include Anne Murray, Blue Rodeo, Bruce Cockburn, Daniel Lanois, Hank Snow, Joni Mitchell, k.d. lang, Leonard Cohen, Neil Young, Oscar Petersen, Rush and Shania Twain in the Canadian Music Hall of Fame.